Meet the Morphoids at the Untitled Art Society! The Institute of Morphoid Research is pleased to announce our current public display at the Untitled Art Society’s window in the EPCOR Centre! The informational exhibition will run from February 8th – March 31st, 2012. The public is invited for a closing reception on March 15th, at 7PM. Hope to see you there! IMR at the Art Gallery of Calgary! 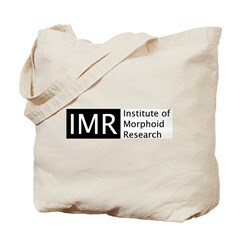 The Institute of Morphoid Research has finished it’s short documentary! The film, called Morphopodia: A Strange New World in Our Own Back Yard, follows the Institute and the creatures it studies in an attempt to remove some of the mystery around the Morphoids. At just over 18 minutes, Morphopodia is composed of informational clips on most of the Morphoids, interviews with Founder and Chief Researcher, Jennifer Akkermans, eye witness accounts, specials on supporting evidence such as bones, and an interview with Robin Roberts of Calgary News Nightly. We will be posting short clips from the film soon. Stay tuned! We’ve discovered some egg shell fragments in the forest! They are about the size of a chicken’s egg, but the colouring is not that of a chicken. (What would a chicken be doing out there, anyway?) The fragments are a teal colour, with silver spots, which is unlike the eggs of any animal we can think of, so they must be Morphoid. We believe we may have discovered some Morphoid bones! If you can see them in the photo, you will notice that they are a little hard to see because they blend in among the decaying wood where we found them. They are unusual objects, surprisingly heavy, and unlike any bones I’ve ever seen before. I will post more information when I’ve had a chance to study them in more detail. 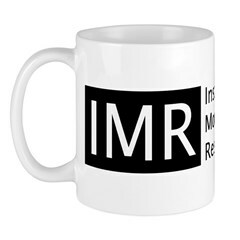 The IMR is Producing a Documentary! I don’t think I’ve told you yet, but the Institute of Morphoid Research is working on a documentary! It will be shown at a special Sneek Peak, probably in September, details to follow later. The documentary will be multi-functional. It will exist in both a longer form to promote the Institute and give more of an overview on the Morphoids and their world, as well as having smaller segments, focusing on specific Morphoids, as a sort of mini- documentary for the IMR to use on it’s website and exhibits on specific Morphoids. Please bear with us, as this is quite a complicated process, finding and combining the footage we already have, and filming more to flesh out the story and fill in the gaps. There has been another sighting of a Sepal specimen! This one looks really similar in size and shape to the one we have in our laboratory. This time, we just took some photographs and watched, until we lost sight of it in the grass. The IMR is in the newspaper! This article is from a couple of days ago…. This is footage that we think was filmed sometime in the 30’s…. a friend passed it along to me. She thought it was likely a forgery, like an image of the Ogopogo, because there are no other records of any encounter with a creature like this. We are sure it is a Morphoid- the skin texture is much too distinctive to be discounted. We have no idea if this creature still exists, how many of them there are or were, where it lived or what it ate. There are actually three parts to this footage. I’ll post the other two segments in the next couple of days. News: IMR’s Gynoecium Specimen First Morphoid to be Given a Proper Name! Gynoecium is the first Morphoid to be given a proper name. 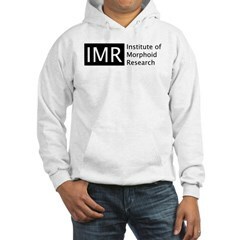 The Institute of Morphoid Research is getting a little closer to their subjects of choice, the Morphoids. 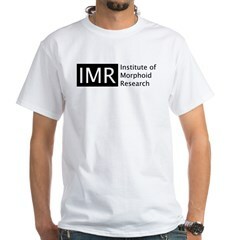 The Institute, or IMR, as it is known, officially gave one of it’s Morphoids an individual name yesterday. The Morphoid in question was formerly known by the name the IMR had given to it’s particular species, Gynoecium. The Institute held a contest earlier this week to find a name for the individual Gynoecium Morphoid that is in their possession. 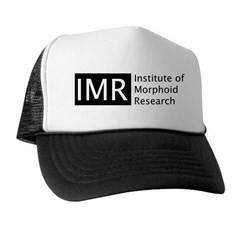 The Morphoid will now be called “Tarth”, courtesy of the contest’s winner, Cayla M.
“The naming contest may have been initially a bit of a publicity stunt,” says the winner, “but I was quite pleased to see there was a decent prize in exchange for the IMR’s use of the name. 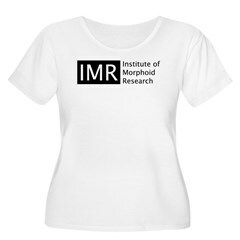 Cayla will recieve, not only a mention of her win, and new connection to the Morphoid, Gynoecium, on the IMR’s website, but also a signed picture of the Morphoid from the IMR. It is unclear whether the photograph will be signed by the Institute’s main face, Jennifer Akkermans, the Founder and Chief Researcher. Akkermans was not available for comment when we inquired. The IMR will be at the Alberta Craft Council’s Discovery Gallery in Edmonton, Alberta! If you’re in the area, go take a look! No Morphoids have been discovered this far north, and this is the farthest these particular Morphoids have traveled, making them a rarity in that part of the world. Sepal, Pteropod and Scarabaeidae are the three Morphoids in the exhibit. The display will be up and open to the public from May 28th – July 9th, 2011. The Discovery Gallery is located at 10186 – 106 Street, Edmonton Alberta. News: The Pods Have Hatched! The pods I have been watching have hatched! It was very sudden…. I could hear this strange creaking noise, and then, all of the sudden, CRACK! It sounded like a huge tree had fallen over, but it was one of the pods, ripping open, and spilling these little creatures down through the branches to the ground. The second and third pods cracked open within a few seconds, and then there were nothing but all of these little pink Morphoids zipping around! 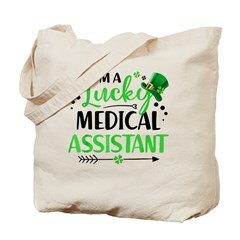 There must have been at least two hundred of them! We managed to get this picture, and catch a few of the little guys, but they were so fast! I guess the pods were a sort of incubator, after all. I will post more on these guys soon, after we’ve had more time to do a preliminary study of them.